Last year, turquoise made a real impression on me. It pops and looks fantastic in a chunky necklace. I JUST bought a FAB dress (that I need to get altered) in the color and wanted to do a quick post on different ways you can bring it into your summer look. Pair this top with a black over-sized tank for a great pop of color. 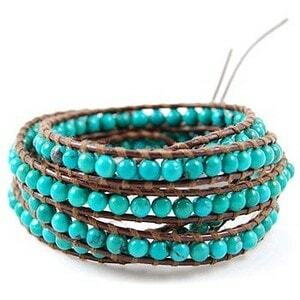 Not ready to use turquoise on a large piece – try a piece of jewelry like this great bracelet. 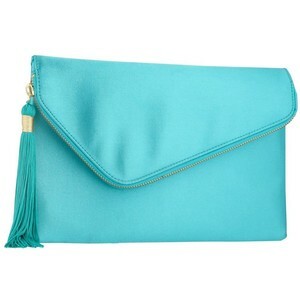 LOVE THIS CLUTCH from debenhams.com. 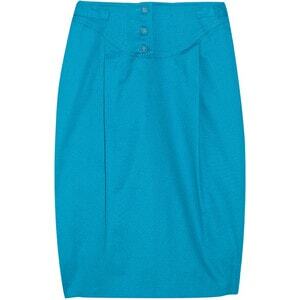 How about pairing this turquoise piece with a black tank? Or white tank? Or coral tank? Or yellow? Almost anything goes! Or what about a turquoise pedicure? LOVE this color from Essie! 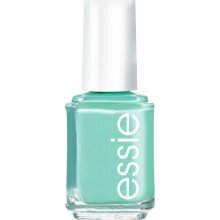 This one is from the Essie Resort Collection Summer 2010 and is called ‘Turquoise and Caicos’. STOP IT!